Many comets and asteroids are so small and have so little gravity that it is possible for a spacecraft to hover over their surface, rather than orbit around them at high speed. Such a spacecraft could shoot a tethered penetrator into the body's surface to collect a material sample, which could then be reeled in for onboard experiments or even for return to Earth. Using several of these harpoon-like penetrators, samples could be collected from various places on the same body, or from more than one individual comet or asteroid. 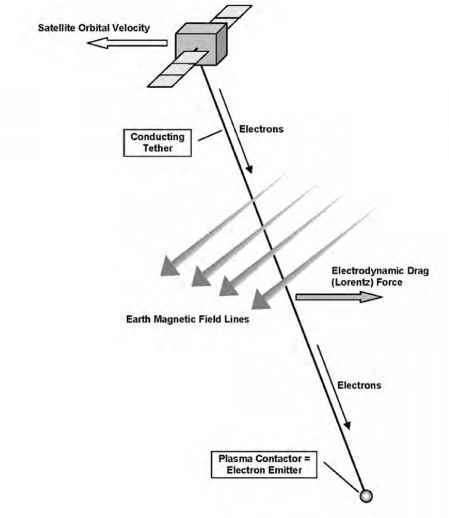 The penetrators could be launched by a spring system at a distance of several tens of meters from the surface, and then ignite simple solid propellant rockets to accelerate themselves to the impact point. A rotating turret housing multiple penetrators would allow the use of a single tether reel system. A major benefit over the use of a lander is the simplicity of the system: there is no need for an automated and careful, soft landing. In case of a problem, the tether could be cut at the spacecraft's end. A disadvantage is the high-shock impact, which makes it necessary to use only very robust scientific experiments and equipment. A detailed analysis and design for a tethered penetrator system was performed by the Italian aerospace company Alenia for the European Space Agency's Rosetta spacecraft, which is currently on its way to rendezvous with the comet 67P/Churyumov-Gerasimenko in 2014. However, the tether harpoon concept was discarded in favor of a sophisticated, small lander able to make detailed in-situ analysis of the surface composition.